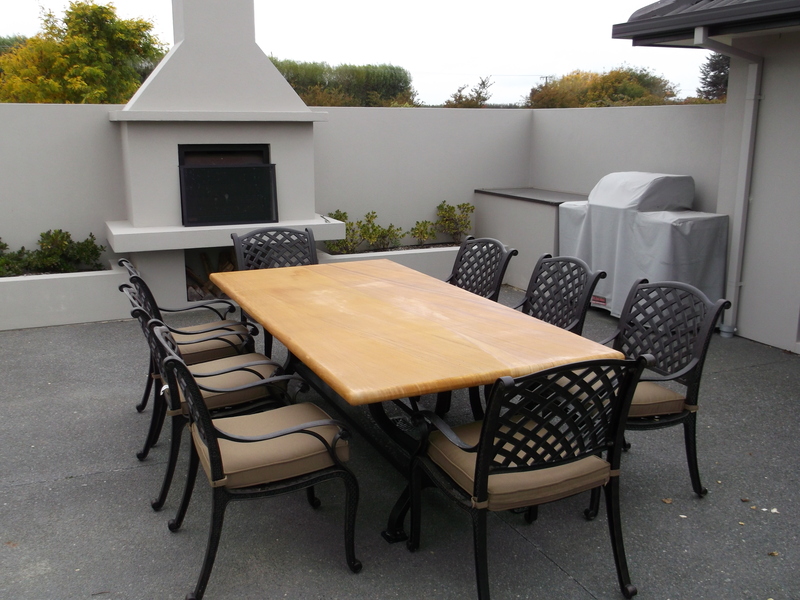 Do you have any questions about our stone products? 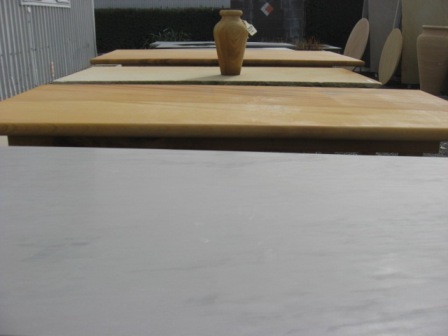 Would you like to commission a bespoke stone table? Contact us now. 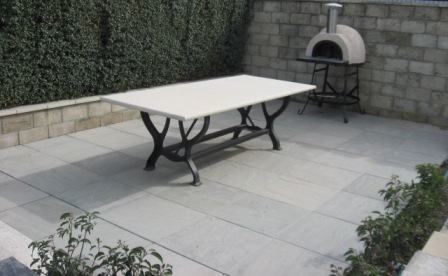 If you’re after a real feature for your patio you can’t go past a solid natural stone table top made from natural Indian sandstone. This beautiful stone comes from the sun-baked quarries of India. 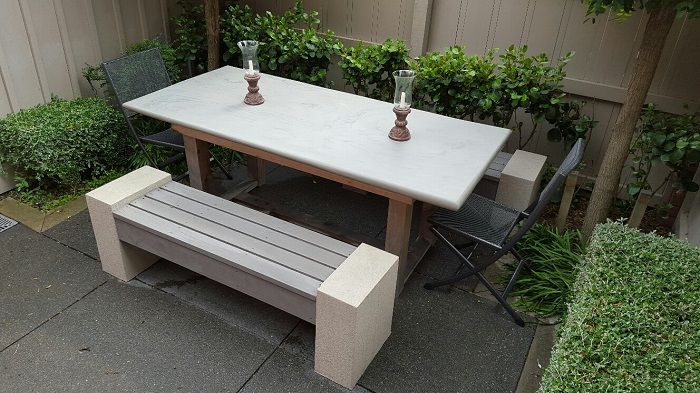 As each piece of stone is unique in appearance, each of our natural stone tables is guaranteed to be a one-off. Choose your colour (teak, pipi or cloud) and size. To put your very own stamp on it you can even design your own table base. Alternatively, we can of course supply you with one. 2,500 mm x 950 mm at 250 kg. Pop into our Christchurch yard or phone to find out more.